Contribution from Tim Salter. January 2008. Here is some initial information on the D3 era, based on when I was in the D3 team at Flight Refuelling Ltd (FR). 1. Background. The MoD in the early 70's was looking for a more modern replacement for the Meteor drones at Llanbedr for testing of the next generation of AAM such as Skyflash. 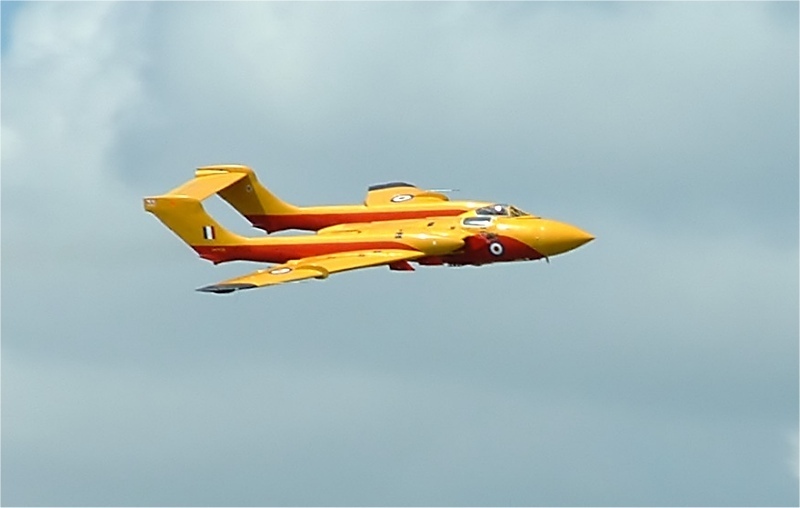 FR had converted all the Meteor's in the 60's and were chosen as the contractor along with the soon to be retired Sea Vixen. The first batch of 8 FAW2's arrived at FR's Tarrant Rushton airfield in 1972 (XJ524, XJ580, XJ602, XN652, XN657, XP924, XS577 and XS587) and stored and maintained until 1974. Further FAW2's were also flown to RAE Farnborough for storage - believed to number 20 airframes in total were allocated for D3 conversion. A FAW1 was placed at FR's Wimborne factory for design purposes - believed to be XJ482. 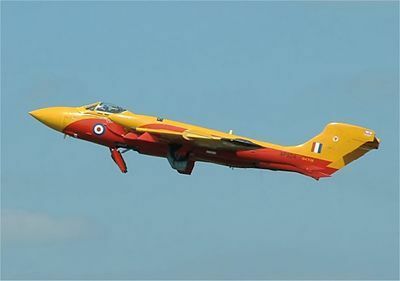 In parallel to this, two unique versions were created - XJ524 was converted to be a FAW(TT)2 for high speed target towing and XJ580 a FAW(K)2 for Mk32 IFR pod trials. When the D3 contract was let in 1974, XN657 was the lead conversion and used for most of the test flights, XS577 and XP924 were the back-up / secondary test airframes. 2. The D3 Conversion. The Meteor drone had all the radio / telemetry systems located around the airframe, basically tailored to the airframe. The MoD wanted a different approach with the Sea Vixen - something that could be re-used in another airframe in the future if required. So FR came up with something called a Universal Drone Pack (UDP) and all the avionic modules for the remote control were on a rack slid onto the ejector seat rails in the Observers position. Hence the "Universal" part of the requirement was achieved as it was envisaged the same basic fdrone equipment could be used in a Lightning or Phantom in the future. 3. Testing. All the test flights during the development took place with a pilot in place but he was able to fully mimic the intended remote control as a push-button matrix was installed at eye level. So all the commands available to the ground operator could be produced by the pilot, ie bank left, bank right, climb, descend, throttles open, undercarriage up / down etc. After the early flights the test pilot was able to completely fly the aircraft from take-off to touch-down using the push-buttons (around 20 if I recall correctly) with the new drone avionics turning the simple button pushes into control surface and throttle movements.